In 2012 I was a member of the 12-person panel that reviewed the £130 million investment in Research Councils UK’s Digital Economy (DE) programme. The main remit of the panel was to consider the full range of DE projects funded to date. These ranged from doctoral studies based across UK universities, to the large collections of projects hosted at the three DE hubs: (1) Horizon at the University of Nottingham; (2) dot.rural at the University of Aberdeen; and (3) the social inclusion through the digital economy (SiDE) projects at the Universities of Newcastle and Dundee. The review panel’s findings are available in its report hosted on the EPSRC web site. In addition to reviewing projects that were already underway, the 2012 panel members were also keen to identify possible areas for future DE programme investment. I remarked how few of the studies at the time focused on what it means to be an individual who lives and works in a digital economy. The panel members and research council staff discussed this observation further, both during the review week in May 2012 and immediately afterwards. Out of these discussions grew research council interest in funding some further work around the theme of “digital personhood”. 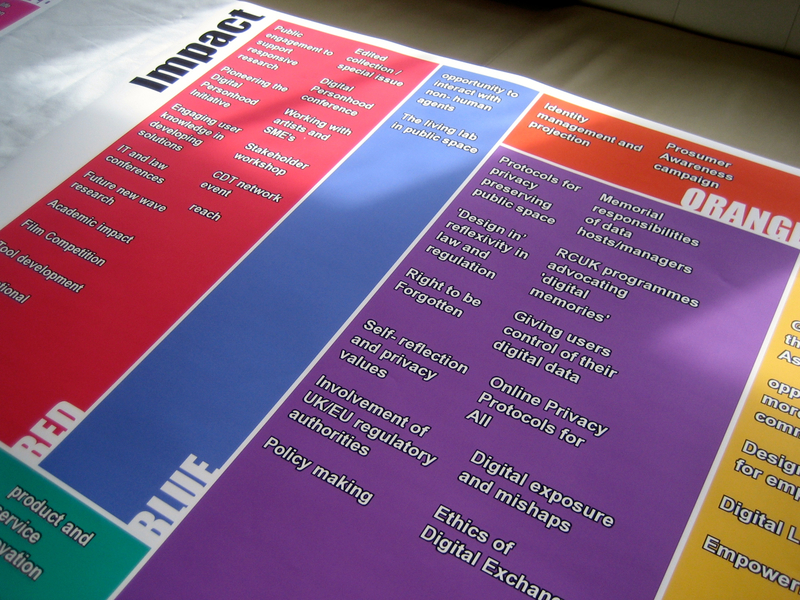 Following a sandpit event in November 2012, £5 million of additional DE programme investment was allocated to support (a) five distinct Digital Personhood projects and (b) a digital personhood research network. While each of the newly-funded five projects is concerned with empirical research into particular aspects of digital personhood, the network grant was awarded to help ensure that the five Digital Personhood projects, and other associated research, maximise their collective impact. The grant funding was awarded to bring together digital personhood researchers, and other stakeholders, at a series of meetings to share research results, expertise and contacts. By working collectively in this manner, it is anticipated that it will be possible to map emerging themes in digital personhood research, and to identify associated societal challenges. This work will inform both (a) public understanding of digital personhood, and (b) discussions of relevant issues at research council and government levels. The network grant’s web site also serves as a hub for information about the five Digital Personhood projects, and other resources of relevance to the theme of digital personhood research. 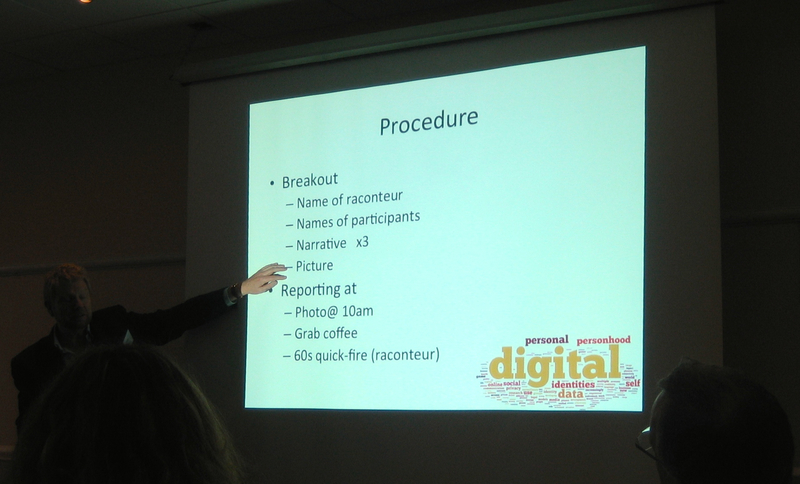 Last week I attended the first meeting of the Digital Personhood Network. 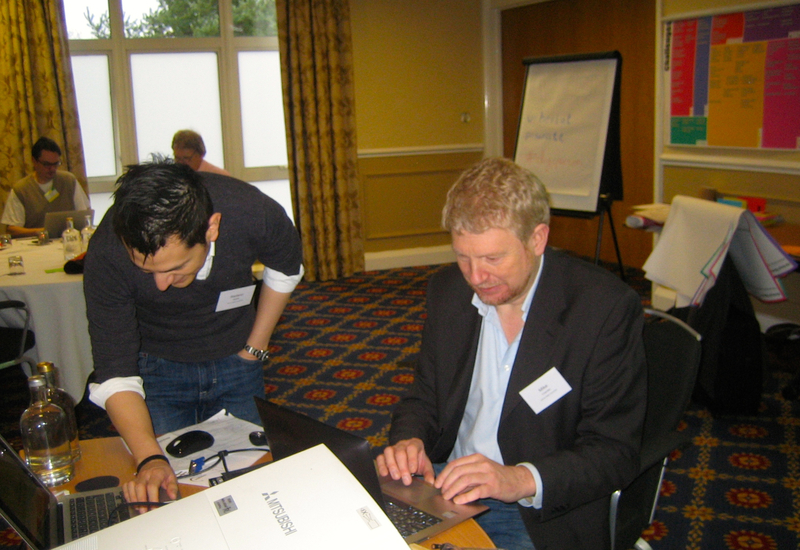 The venue was Cranage Hall in Cheshire, the same place where we held the Digital Personhood sandpit in November 2012. It has to be said that it was a far less stressful experience to be at Cranage Hall as a network member, than as a mentor (as I was at the sandpit event), or as a former sandpit participant.The meeting was chaired by Professor Mike Chantler of Heriot Watt University, Principal Investigator of the network grant. Mike took us through a well-organised and interesting programme that included formal presentations and breakout sessions for structured information exchange, as well as ice-breaker exercises, refreshment breaks, and free time during which delegates were able to get to know one another better and start to form connections across the network’s membership. Given the network grant’s remit to maximise the collective impact of digital personhood research, much of the time at the meeting was devoted to the theme of impact, i.e. the demonstrable contribution that excellent research makes to society and the economy. 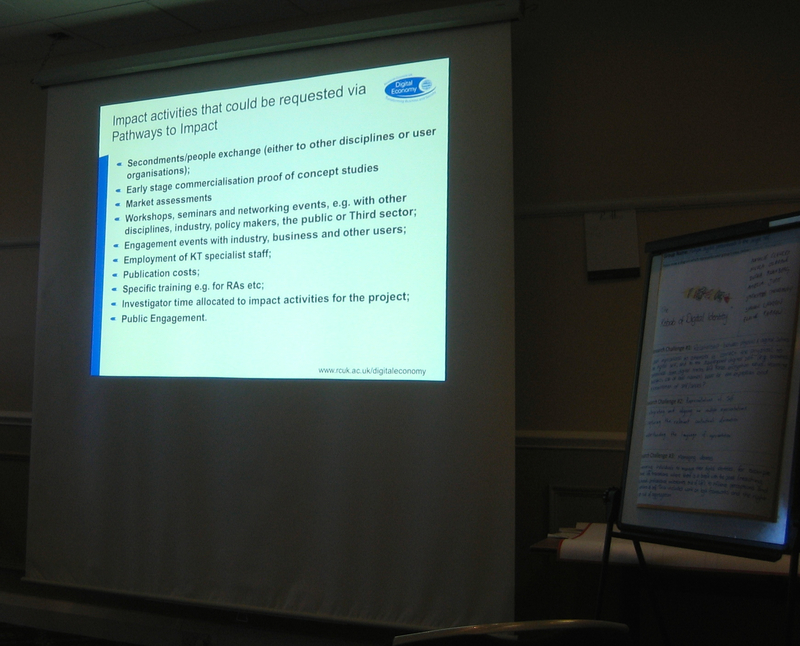 A second presentation on the Friday by Dr John Baird highlighted how the research councils conceive impact, and provided some excellent advice on how to address pathways to impact in research grant proposals. 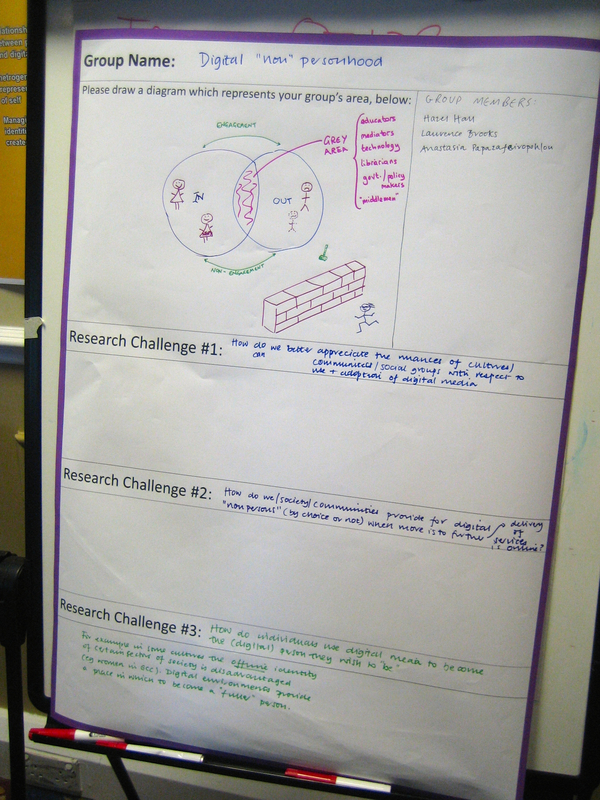 In addition breakout groups discussed strategies for ensuring the impact of research projects. I was particularly interested in the Thursday afternoon presentation by Laura Hood, Commissioning Editor (Digital Economy) for The Conversation. The Conversation is a news and current affairs web site that presents content written by academics (as opposed to journalists), in an accessible manner (helped by The Conversation’s journalists) for a general readership. Laura argued very persuasively of the value of the site as a means for researchers to extend the reach of their research. This can be achieved through the posting of articles on The Conversation web site itself, and also beyond thanks to The Conversation’s practice of pitching academics’ articles elsewhere. Laura was very pleased to take the business cards of delegates keen to promote their work in such a way. The other main output of this first network meeting was the articulation of research themes related to digital personhood, and associated research questions. These were developed through group discussion of the range of ideas submitted and organised into thematic groups by individuals prior to the event itself. In the feedback sessions these were labelled: “Determining personal digital value”; “Research community challenges”; “Beyond self”; “Digital “non”-personhood”; “Digital social contract”; and “Multiple digital personhoods and the single self”. It is anticipated that this work will contribute to mapping the research domain of digital personhood and identify research priorities in the future. One of the most satisfying aspects of my participation at this first network meeting was witnessing how a range of highly innovative projects, and a lively well-networked research community, has grown from the seed of an idea expressed in a meeting room in Swindon in May 2012. I feel privileged to have been involved in the Digital Personhood initiative from the very start, and at each of its major milestones: the scoping workshop for the sandpit in July 2012; the selection of sandpit participants in October 2012; the sandpit itself in November 2012; the assessment of the five successful sandpit proposals in early 2013; and this first meeting of the Digital Personhood network. Thanks are due to Professor Mike Chantler, Dr Stefano Padilla, and Thomas Methven of Heriot Watt University for organising and delivering an excellent event. As someone who has held a network grant in the past (the AHRC-funded Devleoping Research Excellence and Methods (DREaM) network), I am fully aware of how much effort goes into this work. I am already looking forward to the next network meeting and watching how the Digital Personhood projects develop and flourish in the future. For further coverage of the sessions, please see Nicola Osborne’s live blog of the meeting. You may also be interested in going through the tweets from the meeting by using the hashtag #digiperson. The full meeting report will be available on the Digital Personhood Network web site soon. This entry was posted in Events, Projects and tagged #digiperson, Chris Hankin, digital economy, digital personhood, EPSRC, ESRC, impact, JOhn Baird, Laura Hood, Mike Chantler, network, Nicola Osborne, Rachel Tyrrell, RCUK, research, Stefano Padilla, The Conversation, Thomas Methven by Hazel Hall. Bookmark the permalink.